Lush greeneries, castles, and pristine beaches — no, we’re not talking about Ireland or Greece, but one of the most beautiful places in the world that is not quite as popular as Paris or London: Croatia. The country can take you back in time and into the present; from beaches to castles to mountains, Croatia is simply breathtaking. Known as the “Pearl of the Makarska Riviera,” Brela boasts of blue, crystal clear waters, the historical monument of the Illyrian god Silvan, and Punta Rata – which is hailed the world’s sixth most beautiful beach, and the best one in all of Europe. Set in one of Croatia’s woodlands, Plitvice Lakes is comprised of sixteen intertwined by waterfalls. Because of its natural majestic beauty, Piltvice Lakes was included in the UNESCO World Heritage list in 1979. 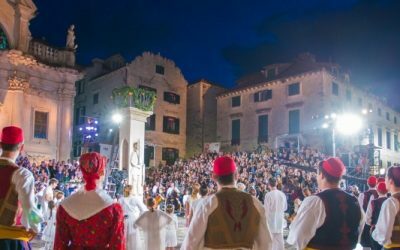 If you feel like going back in Roman times, make sure to visit Split. 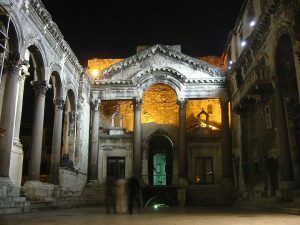 Here, you’ll find the ruins of Diocletian’s Palace, which was built in the late third century A.D. There are also twelfth and thirteenth century medieval fortifications, fifteenth century Baroque and Renaissance castles, and Roman churches within the vicinity. 1. Bring enough cash. Although most shops will have a sign that credit cards are accepted, there’s still a good chance that the service won’t be available. 2. Pick a good airport parking service. Croatia, needless to say, is beautiful. But we can’t neglect the fact that traveling to this country can be quite excruciating, not to mention the ferries and bus rides you need to take to reach your destination. That’s why having your car waiting for you at the airport after your trip can be such a convenient option. 3. Plan your itinerary carefully. Since Croatia is known for its crystal clear blue waters and some nudist beaches, most travelers think of visiting every island out there. This, unfortunately, is not quite possible. Although the islands may be near each other, not all boats offer trips to the next island on your list on a regular basis. The best thing to do is pick your favorite island and stay there for the duration of your visit.